Learning SAS helps graduates quickly land good jobs. Data scientist is currently one of the 10 toughest jobs to fill, according to a CareerCast report. While the number of jobs requiring a background in analytics and data management is growing, the talent pool emerging from colleges and universities isn’t meeting that demand. Data mining courses as part of its master’s degree in applied statistics. A business analytics concentration that augments the standard MBA program. A five-year STEM (science, technology, engineering, mathematics) combined bachelors-MBA program with a business analytics concentration. Newly formed partnerships with overseas universities that give analytics students an international perspective. The proof of its approach is shown each year when students land great jobs. 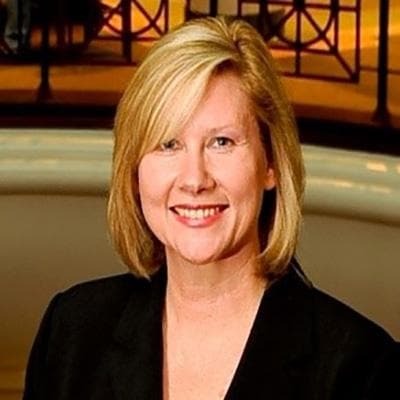 ”We have 100 percent job placement,” says Denise McManus, Director of the university’s Institute of Business Analytics. “Students land competitive salaries in jobs at some of the world’s biggest brands, including Facebook, Google, US Bank, Jeep and Microsoft. After they have a job, other employers continue to ask them to apply for jobs at their companies. Central to the program’s success is a close partnership with business partners. The university was one of the first in the country to partner with SAS to offer a joint certificate in analytics. To date, more than 155 programs have since followed suit. Any student in any program that wants a rich experience in their discipline can take the school’s four analytics classes as part of their program or as an elective. More importantly, Alabama has invited corporate partners, including SAS, to its board of directors to help steer the program to meet business requirements. One area of particular concern for businesses today is finding analysts who can handle big, and often inconsistent, data sets. To give them experience in this area, the university now requires students taking all four analytics courses to participate in the SAS® Analytics Shootout Annual Student Competition. This program challenges students to tackle a complex problem using SAS advanced analytics software. “Since students began entering the competition, companies say they see that our students understand the data better and know how to approach analytics more effectively,” says McManus. Among the newest programs to incorporate analytics is the STEM Path to MBA, which gives undergraduate STEM students the opportunity to begin graduate studies early. After they finish the four-year undergraduate degree, they can earn an MBA in just one more year. Currently 50 percent of the participants take the four SAS classes as electives so they can receive the concentration in business analytics. The program has grown by leaps and bounds. Twenty-five students enrolled the first year. In the last six years, that number has grown to more than 100. As a result of corporate feedback requesting international exposure, the university now partners with international schools, including Ghent University in Belgium and University College Dublin. Students go back and forth between Alabama and the overseas universities. They also have opportunities for internships with international companies. “The ability to visit other campuses is fantastic, because all these students from around the world are working together and bringing different perspectives to completing analytics projects,” says McManus. Alabama provides many additional enrichment opportunities that give students real-world experience and connections to the business community. Students are encouraged to get involved in the Analytics Experience conference and SAS Global Forum. At those events, they give presentations about projects, meet executives and share their experiences with other students once they go back in the classroom. The university itself puts on a business analytics symposium each year that brings in analytics experts to speak. This gives students exposure to the way companies use analytics in different capacities and functional areas and gives them networking opportunities that help them land great jobs. Another symposium that Alabama runs jointly with Oklahoma State University and Louisiana State University allows students to present research and provides further networking opportunities. 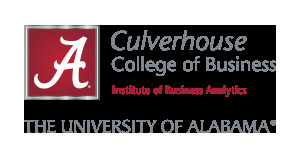 The University of Alabama creates a win-win for students and businesses alike. Businesses gain access to students with the top-notch analytics skills they desperately need in the data science discipline. And students graduate with the skills, experience and connections they need to land great jobs – fast.